Business is tough and it’s hard to distinguish yourself from the competition, especially with all the “self-proclaimed” experts out there. How do you let YOUR voice be heard over the din of the crowd? 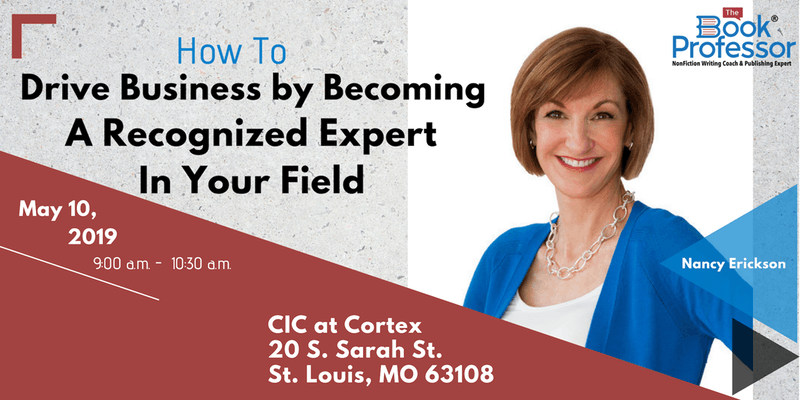 How can you establish yourself as an expert, increase your credibiity, and attract a following—so you can build your business? All participants will receive a copy of Nancy’s book Stop Stalling and Start Writing, which explains her entire step-by-step process to write a compelling, high-impact nonfiction book.